Packing light is particularly important when you are just travelling with just one carry-on bag and the heaviest items are always going to be footwear. Here, Rupert Parker rounds up his best carry on footwear. Whether you’re just doing some light hiking, or wandering around the city, it’s crucial to have the right things on your feet and also to choose your socks wisely. Here is a review of some of the latest footwear products which I particularly like. Keen are US brand known for their stylish footwear and the Wanderer is no exception. The boots are actually made in Europe and are designed to combat whatever the weather can throw at you, with a waterproof breathable membrane preventing your feet getting soaked. The uppers are nubuck and suede leather and clasp your ankles well with their 3/4 semi mid cut construction. Soles have a red stripe running through them, perhaps to make you go faster (?!) and the cushioned foot bed means makes all-day walking pain free. I tested them out in the Scottish Highlands, remained blister free and they are some of the most comfortable boots I’ve worn. 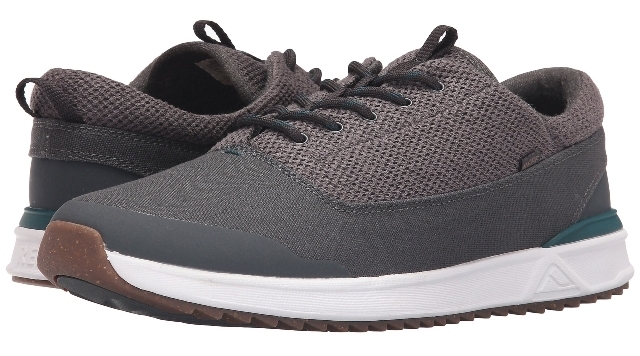 Practical for long travel, these lightweight shoes have canvas and copper mesh uppers with rubber soles with a saw tooth pattern. 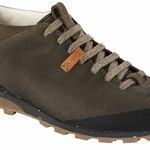 Breathability is good and the shoes work well on easy footpaths and woodland trails, but not robust enough for hiking. As well as being supremely comfortable, they look stylishly cool so are perfect for lounging around in trendy nightspots. A big plus is that they can be hand washed and dry quickly. 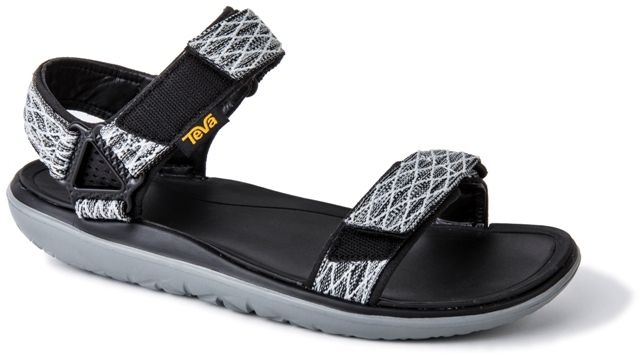 Of course probably everyone has had a pair of Teva sandals at some point and the Terra Floats are the latest update. They use what they call Float-Lite technology on the sole which makes them super light, and the broad straps mean they can cope with almost any activity. 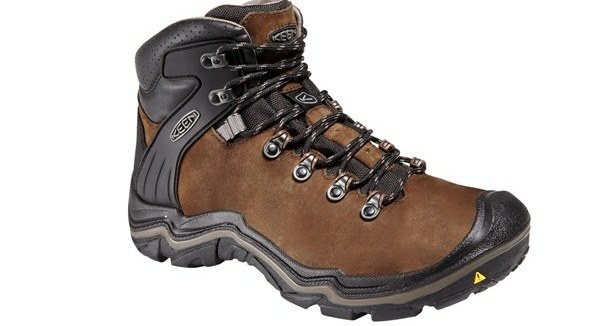 I found them perfect for long walks, with excellent traction in the wet. The insides have anti-microbial treatment, useful in preventing “Stinkfoot”. 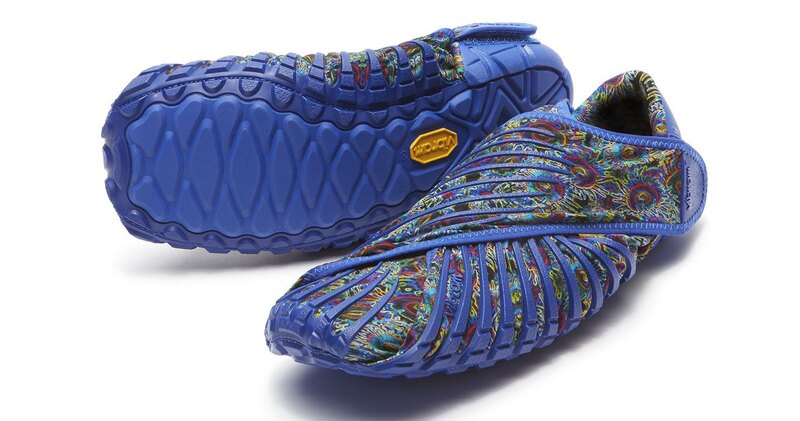 These are really a unique concept – basically a high grip Vibram sole with elasticated fabric uppers, inspired by the ancient Japanese art of wrapping items in cloth to transport them. They’re an innovative cross between slippers and sandals, although I’m not sure how the fabric would stand up in the rain. Since they completely envelop your foot, they’re supremely comfortable and are certainly unusual. Best of all they roll up and fit into their own small bag, making them easy to carry. Of course it’s no good having the best boots, if the socks let you down. These days a mix of merino wool and nylon is recommended as they wick the moisture away from your skin. These socks I like and they’ve served me well during long periods of summer trekking. Cushioned heel and toes give maximum comfort and mesh ventilation zones manage moisture and ensure breathability. They’re also tough, although always make sure you remove stones in your boots before they grind a hole in the sock. 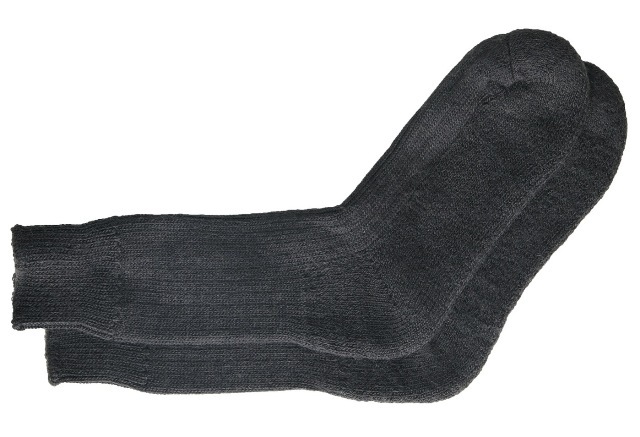 These are a thicker wool sock with comfortable cushioned sole, for colder days or if you have extra space in your boots. They’re warm, super soft, durable and naturally antibacterial and breathable. 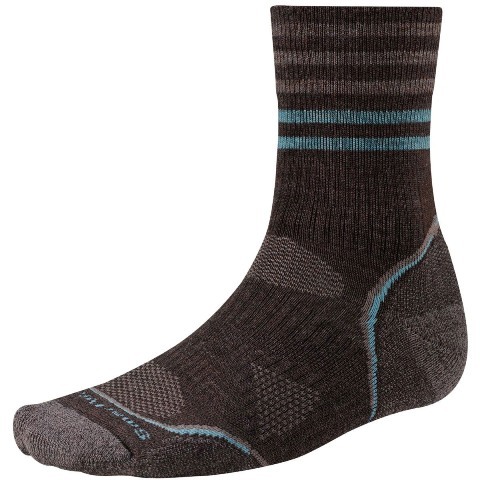 Like SmartWool, Wigwam are from the USA and offer similar features. They’re also made from a high proportion of Merino wool and have a reinforced heel and toe for longwearing comfort. An elasticized arch makes for a perfect fit and they come with a two year performance guarantee. 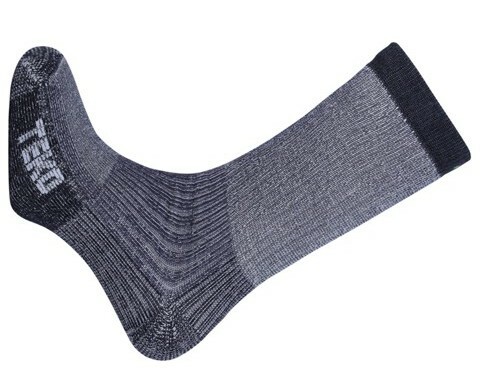 These Teko Socks are medium crew cut and have a medium weight thickness so they cushion the whole foot. Their great advantage is that you benefit from their comfort and wicking properties without too much bulk or warmth. Perfect for walking and hiking in the spring, summer, autumn and winter months. Shoe sizes tend to vary between different brands and it’s important to try your footwear before you buy, otherwise you could end up with very sore feet indeed. 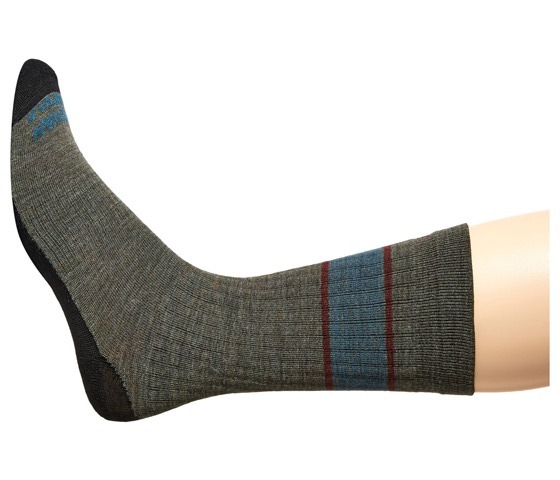 Take the socks you’re going to wear and walk around the shop, testing for any hint of discomfort. Usually the sales assistants offer good advice and it’s always good to get a second opinion. It’s always possible to buy on the internet but I would make sure you’ve tested them first. The prices shown here are subject to change depending on the retailer. 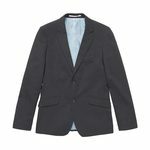 See also Rupert Parker’s best carry on travel shirts review and best carry on trousers and shorts review.